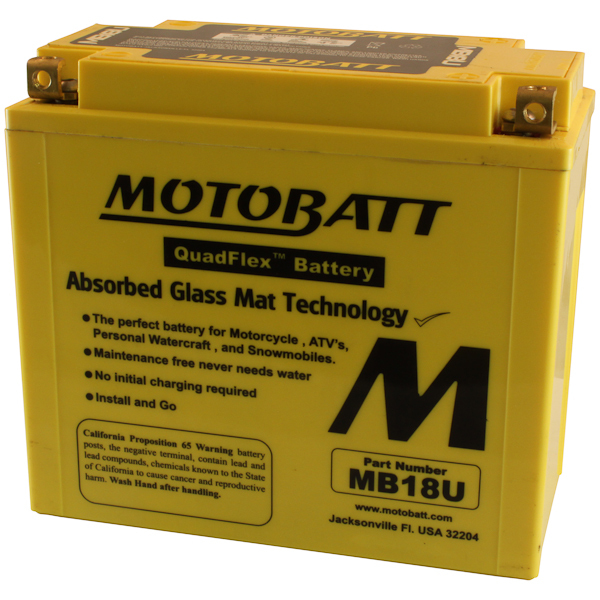 The Motobatt MBTX20UH has re-invented its products specifically for today's PowerSports market. 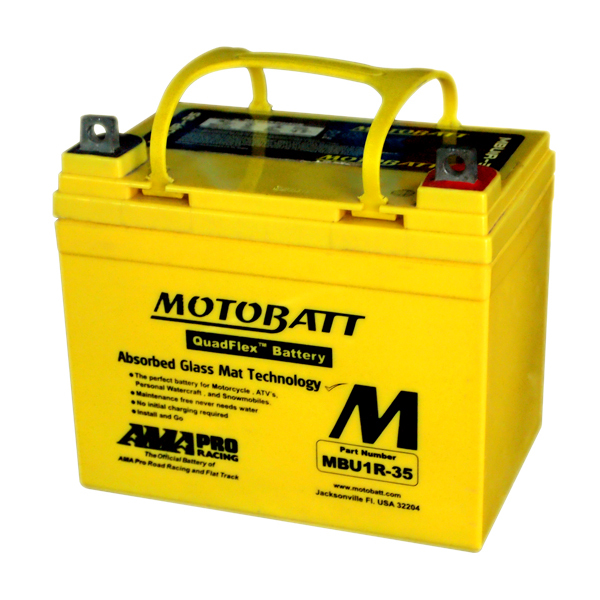 It can withstand high vibration, high starting loads and high powered accessory loads. 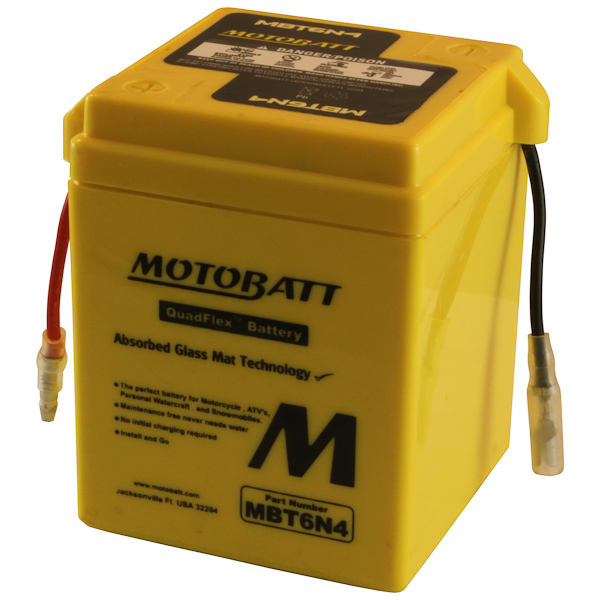 The Motobatt MBTX20UHD Harley Edition battery is built with maintenance free AGM technology. 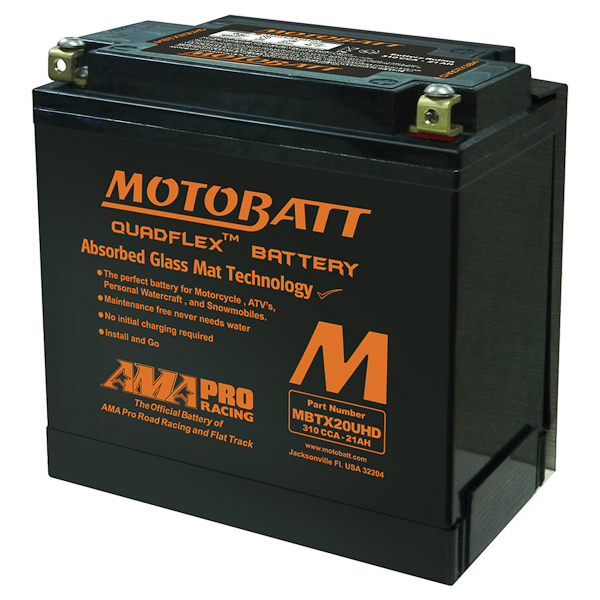 As well as the Quadflex post technology, the MBTX20UH comes with 4 posts now, so that you can evenly distribute the load across the product and not overload single terminals. 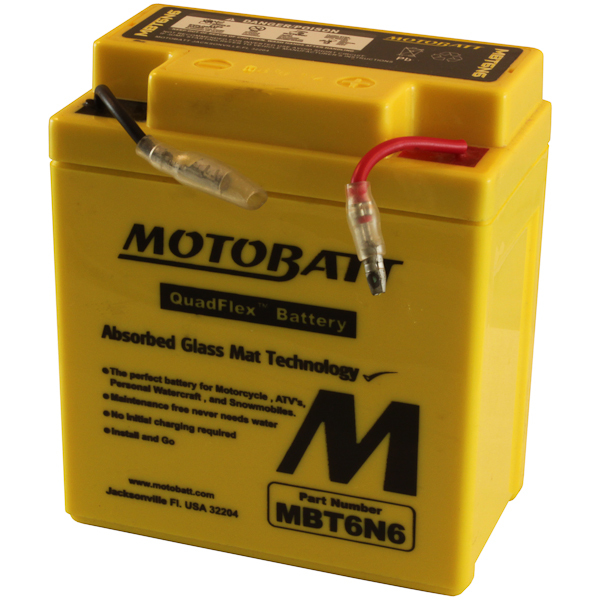 With a two year free replacement warranty, the competition doesn’t stand a chance when it comes to performance, reliability, and service!